Today, we sat in Switzerland 🇨🇭 with Hector Drawin, freelancer on Unilance and entrepreneur who just graduated from HEC Lausanne. He gave us some insightful tips about his previous experience in his own startup. 1) Hello Hector, can you please introduce yourself to the community? I am a 21 years old student from HEC Lausanne. I study finance, accounting and economics. For the past years I’ve been juggling between small jobs (such as Freelance on Unilance), internships and now recently entrepreneurship to get a better understanding of the world around me. 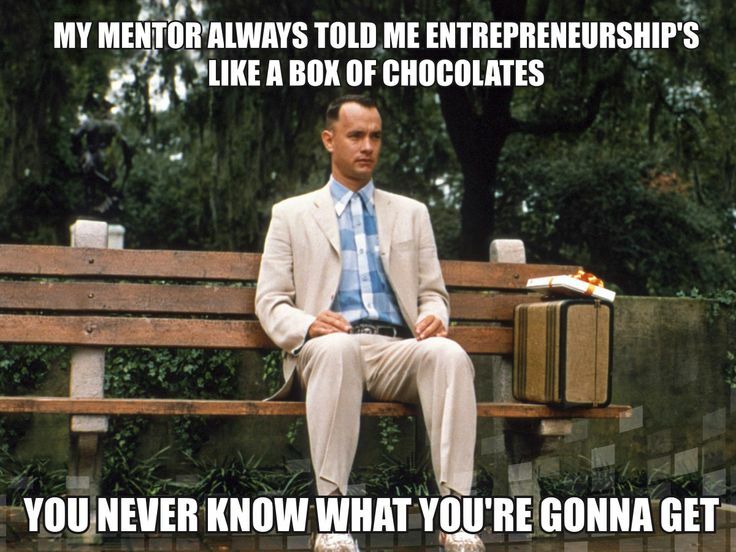 2) Could you tell us about your last entrepreneurial experience 😊? I partnered with a young doctor in Biology who stopped his career as a researcher to focus on his startup project. We had the chance to find an incubator, which allowed us – instead of working in the school’s library- to have access to our own offices, open 24/7, located on the campus : that was very convenient for us. We also participated in different kinds of startup contests. At the same time, we raised funds, enabling us to develop our first prototype and kickstart our online platform. Unfortunately, I parted ways with my partner because of our different visions regarding the way we should organize ourselves and the future of the company. However, this experience has taught me many things such as team building, relationships inside and outside the company and, above all, it enhanced my vision of entrepreneurship. I do believe that entrepreneurship can teach you unique skills, elements that you can’t learn at school. It’s mainly because it helps you understand many things about you and the way you interact with others (soft skills). We mostly think that the ultimate reward for startups is money but this is wrong. For me, the biggest award 🏆 would be the personal development that entrepreneurship can bring to you. I feel much more prepared now to handle challenges and take decisions. I have also met lots of interesting people and created my own personal network of professionals and entrepreneurs. 4) What do you recall from this journey? Only positive elements. I have been able to confirm my passion for entrepreneurship, innovation and team spirit. Even if my last entrepreneurial experience didn’t go as I expected, it allowed me to gain in personal development, experience and it forged my vision for the future. 5) Would you recommend to a student to create his company? We often hear that the best time to be an entrepreneur is when you are young, because, if it does not work out, you will not have much to lose in a sense that you can easily recover and move on. However, even if it were to be true, when starting a business , being experienced matters much more than one’s age because it will prevent you from repeating and avoiding mistakes. Though, keep in mind that failure never absolute because it teaches you valuable lessons for the future so I believe in taking risks and attempting entrepreneurship as soon as possible (and as soon as you feel ready for it). Be ready, as a young entrepreneur and because of your age, to receive many controversial comments Some people will think twice before trusting you when it comes to taking a crucial decision. You will always have to do more to convince them. The first mistake to avoid is to be overconfident about the success that you expect from starting your company or developing your product. In fact, lot of elements can impact the adoption rate of your solution or product. You should not have blind confidence in your decisions without backing it up with facts and figures. Humility is also an important quality to have because when you are humble, you can admit when you are wrong more easily! The second mistake would be to poorly know and rarely meet up with your target group. Indeed, you need to know everything about them (behaviors, thoughts, willingness to purchase, …). At the same time, do not jump to conclusions after only a short period of observation. You need time to understand your target group! For instance, the sooner, an error is discovered, the less harmful will it be for your business. In fact, to develop an application during several months that costs a lot of money only to realize that it does not provide the right solution or does solve it but not in the right way can be disappointing. 7) What was the most difficult for you? Taking a step back in my daily activities. Even if it seems a very odd thing to say, it is crucial to know why you are doing this or that in the heat of the action, you can spend too much time on one task that can be solved with less efforts or you can dedicate lot of time to some suppliers that are not that important for work. However, in hindsight, you will realize that the direction taken is not the right one or coherent with your action plan. In my case, I often felt that my partner and I, were not on the same path. That we were stepping away from our initial vision of what the company should be and should become. It was hard to manage the daily tasks and keep an eye on the global vision that we had and shared at the beginning. Other elements were also difficult such as : looking for funds, hiring the right collaborators, sell your product to your first customers … However, if your mission statement is well defined and if you know the real purpose of your daily actions, those last examples can be overcome more easily. As such, the mission and vision statements of your company need to be as clear as possible and shared with your partner(s). Without that, the company works in the shadow and your efforts will not bring you the success and recognition you are looking for. That is why you should not forget to take some pondering when facing major decisions. I decided to take a one-year break to go abroad and do internships as well as pursuing my growing freelance career thanks to Unilance 😇. I feel the need to learn new things and develop a more global vision and mindset. I would like to pursue a Master’s degree in Strategy & International Management. 9) Last question, who is your favorite entrepreneur and why? I really like Xavier Niel. He is very dynamic and I’d love to see his approach on a much larger scale and in many fields (especially in the educational system) in France. The invention of the « Freebox » or more recently the unique offer proposed by « Free » on the mobile phones contracts market is, in my view, astonishing. Moreover, the recent opening of the largest startups incubator in Paris called « Station F » sponsored by Xavier Niel is another example for the dynamism I want to see for my country and Europe 🇪🇺.